Nigerian forces backed by warplanes invaded Islamist group Boko Haram’s last known stronghold, the Sambisa forest, on Wednesday, in an effort to finally defeat their six-year-old insurgency, two military sources said. 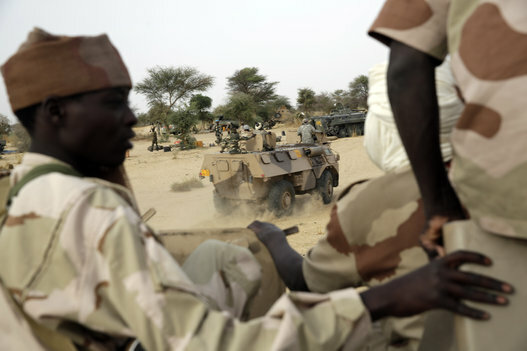 Armies from Nigeria and neighbors Chad, Niger and Cameroon have in the past two months launched a concerted push to try to crush the insurgents, who have killed thousands and kidnapped hundreds in their battle to establish an Islamic state. The Sambisa forest in northeast Nigeria is about 100 km (60 miles) from the village of Chibok from where Boko Haram abducted more than 200 secondary school girls a year ago. Intelligence officials had believed that this was where they were being held, although U.S. reconnaissance drones failed to find them. A spokesman for the military was not immediately available for comment. An official in the Chadian army said allied Chadian and Cameroonian troops were ready to attack Sambisa, which lies on the Cameroon border, from the other side and would move in soon. The militants controlled an area the size of Belgium at the start of the year, but have since lost much of that ground. Yet they remain a deadly threat to civilians, as illustrated on Friday when they slit the throats of 12 people in northeast Nigeria as the army was trying to evacuate the area around the former Boko Haram headquarters of Gwoza. Failure to crush Boko Haram or protect civilians was one reason President Goodluck Jonathan lost an election on March 28 to Muhammadu Buhari, who has pledged to spare no effort in battling the militants after he is sworn in on May 29. Buhari also said he would do everything possible to rescue the Chibok girls, but could not promise to find them.